Merkur Slot Games are among the oldest and most popular online and offline video slots games especially in Europe. Merkur Gaming is a subsidiary of the German Gauselmann Group which is among the pioneers of the slot game technology. If you have ever been to Germany, you must have seen Merkur slot games in gaming parlors or fast-food restaurants. Therefore, we can easily claim that Merkur slot games is THE traditional German slot games if you are looking for some made-in-Germany fun. Thanks to the constant developing online gaming industry, you can play Merkur slot games online on the best online gambling sites. You can head to Slots Magic Casino to play online Merkur slot games online, while Quasar Gaming Casino will lead you to the path where you can play Novoline slot games online. Choose your traditional European online slot provider and start enjoying the best real-like online casino experience without giving up the comfort of your bedroom. But before that, let’s take a look at the most common Merkur slot games which can be played online! Double Triple Chance is a popular 3 reels and 5 paylines online slot game of Merkur Gaming. It appeals to the fans of the classic fruit symbol games. Especially the European casino frequents very-well know this legendary Merkur online slot game which is based on the land-based version of Triple Chance video slot game. The delicious cherries, juicy oranges, and sweet plums keep rolling to hit the jackpot. 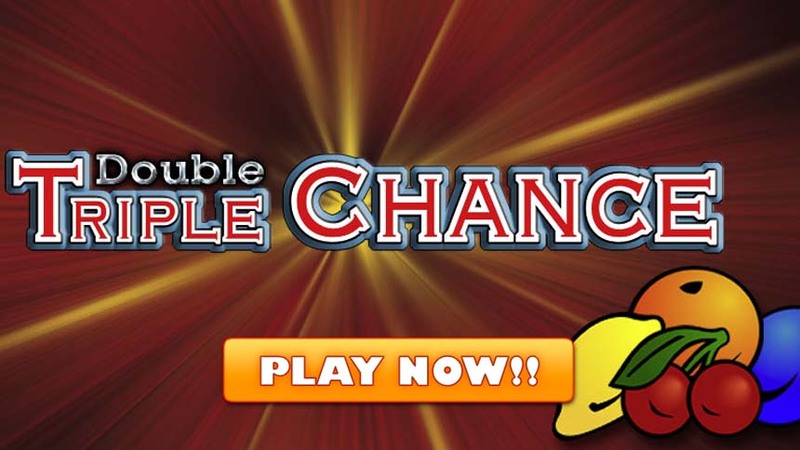 Double Triple Chance online slot game may look like an archaic game. It has basic graphics, only 3 reels and fixed paylines. Moreover, it has no scatter symbol. Then why would you bother yourself even to play online Double Triple Chance online slot for free? Well, it has way more subtle features which will make you want to play this online slot game right away. First of all, the payout multiplier is 150x, which doesn’t look much compared to many modern online slot games; however a $10 wager can bring you $1,500 profit in a single turn. You can increase your winnings when you hit the wild symbols which are a 7 card and Merkur logo. If you manage coincide Merkur logos on all three reels along any active payline, you will hit the jackpot big time. In other words, you will win the maximum payout possible, which is round $7500, regardless of your wagers and number of active paylines. If you trigger the ReWin feature, you will have a chance to receive bonuses via the wheel of fortune. Now all you need to do is heading to Slots Magic Casino where you can play Merkur slot games online. New players receive €400 bonus and 200 Free Spins at this popular online gambling site. Read our detailed Slots Magic Casino Review to learn more. Gold of Persia, which is considered among the most famous Merkur online slots, is a 5-reel and 5-payline game which utilizes oriental imagery vastly. This game gives you to chance to discover Middle East under the guidance of a beautiful Persian woman. There are five valuable symbols in the game including a golden jewel, a blue bracelet, a magic lamp, Aladdin’s slippers and a gong. In order to win big amounts, it is essential to place these symbols on the same reel. 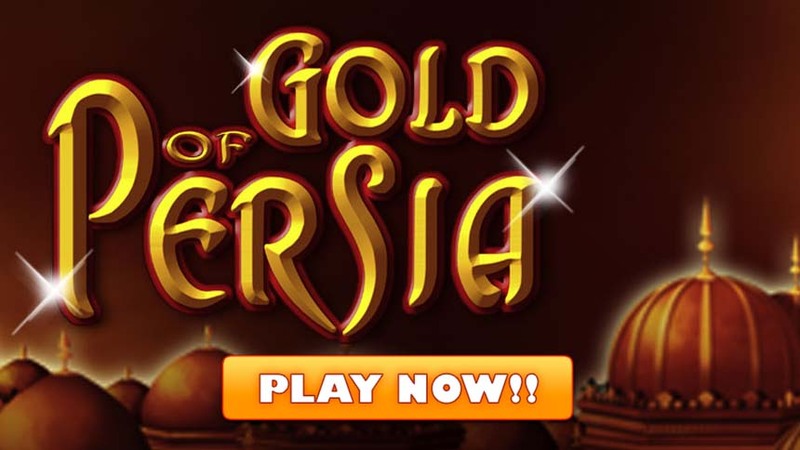 Despite the fact that the graphics make the impression of a classic video slot game, Gold of Persia is a modern online slot game introduced by Merkur in 2015. The regular symbols of Gold of Persia online slot game include three face cards of the traditional deck King, Queen, and Jack along with 9 and 10. These symbols may not be the ones which help you to hit the jackpot; however, you can win your wagers back. However, the valuable symbols bring a huge chunk. Especially the Prince of Persia that is the wild symbol here can help you to win up to $10,000, regardless of your wagers. Scheherazade is the scatter symbol which doubles your winnings and gives free spins. Slots Magic Casino is a no download Merkur casino where you can play online Merkur games for free or for real money. Visit Slots Magic Casino now to play Gold of Persia online slot with your free spins! 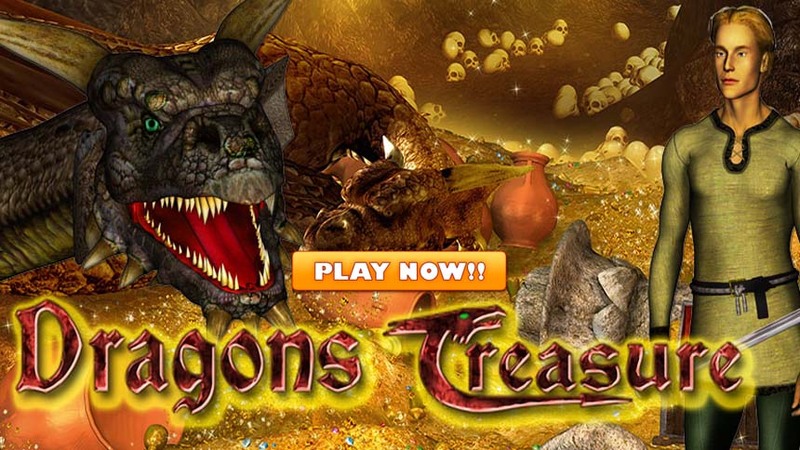 Another popular Merkur slot game which offers 5 –reel and 5-payline gaming experience is Dragon’s Treasure online slot game. Don’t worry! You don’t need to possess the powers of Thorin to slay Smaug. You just need an account at Slots Magic Casino and a computer or a mobile device to play Dragon’s Treasure online slot game. In order to confiscate the treasure of the Dragon, you need to have allies like Hagen, a veteran dragon slayer who takes the role of the Wild Symbol in this game. The might sword which used for slaying the Dragon is the second Wild Symbol. The third wild symbol is the combination of dragons which offer a payout of x1000 when they come together. The most creative feature of the game is the Scrabble. You will see randomly located letters on the reels. If they create a meaningful English word on any active payline, you will win 5 extra free spins. Cool, isn’t it? You can wager an amount between 5 cents and $10 on each spin, per line. Maximum payout per line is $10,000. It means you can generate a huge income hitting the Wild Symbols betting generously. Dragon’s Treasure Chest is the scatter symbol which replaces the other symbols to turn the spin in your favor. If you manage to hit a winning combination worth at least $100, you will active the Dragon’s Treasure Expansion feature. Once it is activated, you will need to choose your own scatter symbol and spin it to increase your winnings. Slots Magic Casino is one of the best online casinos to play Merkur games. 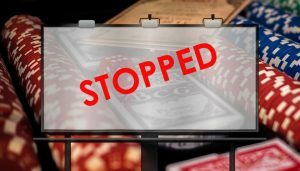 Therefore, head let the magic happen registering at the popular online gambling destination before you start playing Merkur online casino games for free or for real money. Slots Magic Casino dishes out free spins for a whole year. In other words you can play Merkur online slot games for free for a whole year. Moreover, you can even make money out of it. How? Quite simple. As a new player, make a minimum deposit of €50 which will deposit free spins into your account for a whole year throughout 2017. There is no extra requirement. Once you make your eligible deposit, you will receive 10 Free Spins every week either on Thursdays or Fridays for 52 weeks. The most striking point is that there is no wagering requirement; whatever you win is yours! Use Slots Magic Casino bonus code of Y520 to take advantage of this amazing Slots Magic Casino Welcome Bonus!